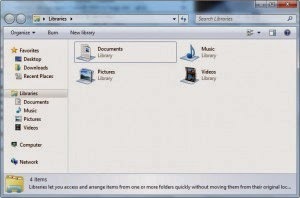 In Windows 7 the default location to which Explorer opens is the Libraries folder which contain your Documents. Type explorer.exe in Start Search and hit enter to see where it opens. But if you dont like this and want your Explorer open to the My Computer location, as used to be done in the earlier versions of Windows, you can have it set so. Open Start menu > All Programs > Accessories > Windows Explorer. Right click & select Properties. Using this command makes explorer open in Computer folder, and even subsequent folders open in the same window. opens subsequent folder/s in a different window. Your Windows Explorer in Windows 7 will now open at the (My) Computer location.